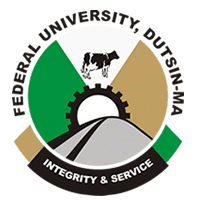 The authorities of the Federal University, Dutsin-Ma (FUDMA) have released the names of candidates offered provisional admission into the university various undergraduate programmes for the 2018/2019 academic session through the first batch admission list. FUDMA first batch UTME admission list has been successfully uploaded online. Check FUDutsin-Ma Admission List – First Batch. You should access your JAMB profile and accept the admission offered, download and print the admission letter before coming to the University to start the registration exercise; Recommended: How to Reject/Accept Your Admission on JAMB CAPS. Congratulations to all the candidates that made it to Federal University Dutsin-Ma UTME admission list for the 2018/2019 academic session.